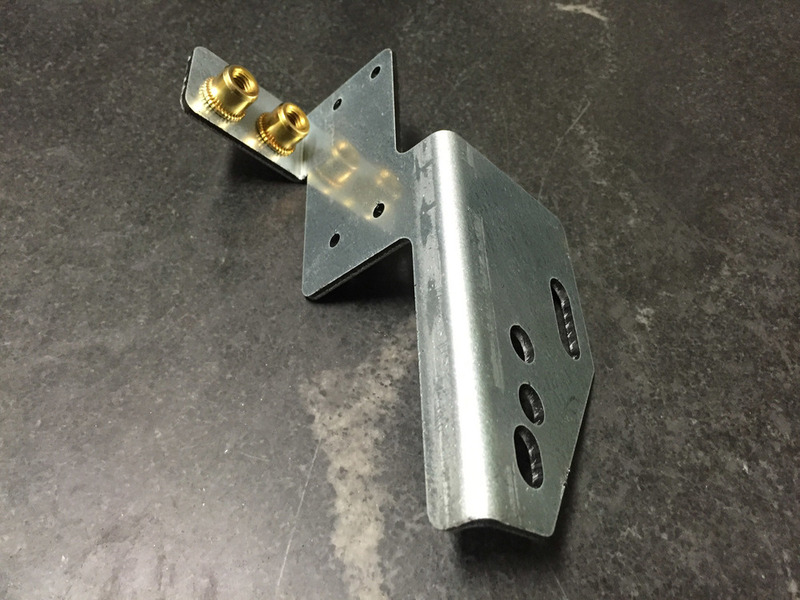 To manufacture this custom fabricated mounting bracket, 11 gauge (.125") galvanized steel was cut out utilizing our laser cutting capabilities. After the cutting was complete, the parts were taken to the press brake room where they were bent multiple times to form the bracket. Shortly after, threaded studs were placed into the part by hand and pressed together by a press brake to expand the stud and make it easily accessible for mounting. The finished product measured out at 6.3" in length, 2.6" in width and 4.4" in height. To ensure a quality product, parts were measured at the beginning and the end of the manufacturing process. 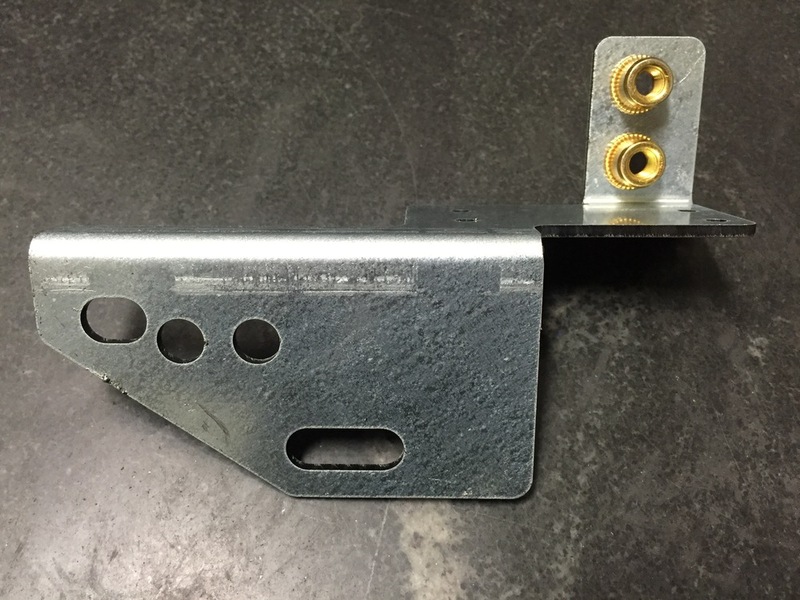 We manufacture about 500 of these brackets annually with a lead time of 3 weeks, with exceptions when a rush order was needed. These mounting brackets were delivered to the greater Milwaukee area for a customer of ours in the industrial and commercial door industry.